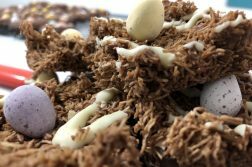 As soon as the culinary onslaught of Christmas is over, it seems to be a mere matter of days before supermarkets are stocking their shelves with Easter treats. 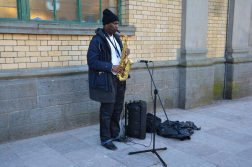 Traditionally eaten to mark the end of Lent, hot cross buns are now available to buy for almost a third of the year, and so it’s easy to see how everyone might already be hot cross-bunned out. 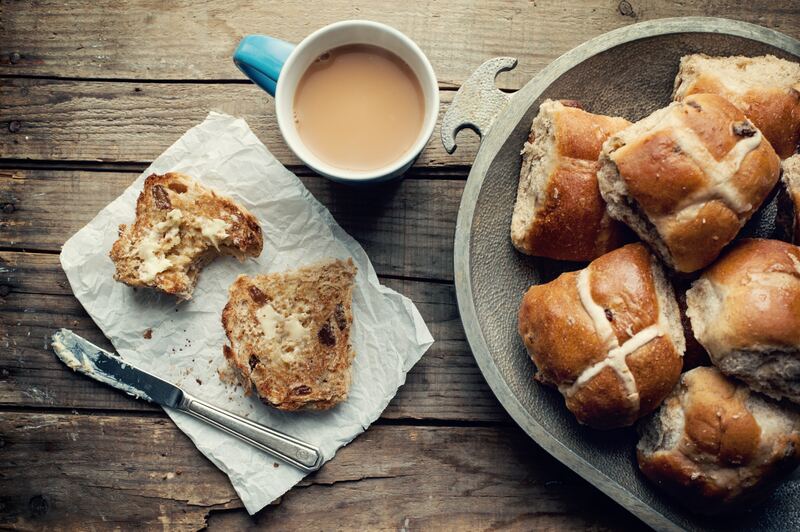 While some may argue that the humble hot cross bun is perfect just the way it is, many supermarkets deviate from the classic to make their buns stand out in this tsunami of sultanas and spices. 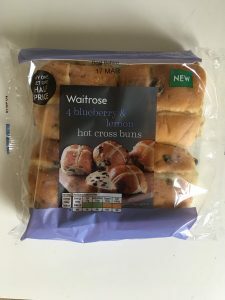 I’ve had mixed feelings on seeing different flavour combinations this year, ranging from intrigue to horror, so I’ve taste-tested five quirky hot cross buns that I’ve come across to save you the trouble. *For the sake of creating a fair test, all buns were toasted and spread with butter (and yes, a lot of eating went into this research). All within article images courtesy of the author. For some people, deviating from the classic hot cross bun is a big step into the unknown, so if you’re just wanting to dip your toe in the world of weird hot cross buns, this is a good one to start with. The apple taste was quite strong but had more of an apple sauce consistency than your crisp Pink Lady. The cinnamon flavour was quite subtle, so again perfect for those not wanting to overwhelm the senses on trying your first non-classic bun. 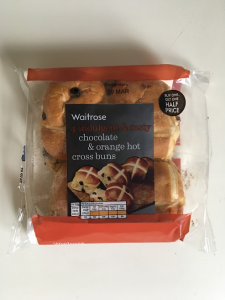 Having invested in two packets of Waitrose hot cross buns (goodbye life savings), I had high hopes, but this bun was more fragrant than flavoursome for me. The blueberry was quite strong and the lemon was more of a bystander than an active player, with both tasting quite artificial. Out of all of the buns in this list, this is probably one to avoid unless you’re more into smelling your food than actually eating it. Having stocked up on £1 chocolate oranges for most of the Christmas period, some people might not be ready to dive back into this classic flavour combination, but you just can’t go wrong with zingy orange and melted chocolate. 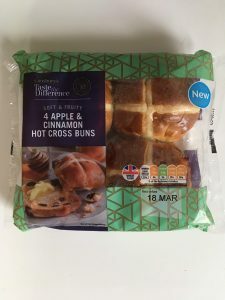 I’m happy to be adventurous and try new flavours, but this bun did lack something that no hot cross bun should ever lack, and that was the cross. Aside from sounding like an awful Drake parody, a hot line bun is just not what I wanted, and for that Waitrose, you should be ashamed of yourself. 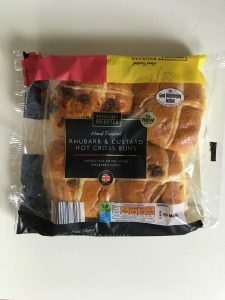 The rhubarb and custard bun is easily the most controversial I’ve found as the most distant relative to the classic hot cross bun. It was quite the rollercoaster, from fear that it would be stuffed with custard, followed by relief that it wasn’t, and then shock at its slightly radioactive-looking colour, featuring a smattering of green squares of what I think was supposed to resemble rhubarb. Given the horror that preceded the toasting of this bun, it was a nice surprise to find that the taste wasn’t as awful as expected, with it falling somewhere between a custard doughnut and a brioche bun. This bun wasn’t as traumatising as I expected, but that’s not to say I’ll be rushing to buy these again. This bun was easily my favourite, with the melted fudge and dark chocolate making this seem like more of a dessert than an afternoon snack. There was a slight saltiness to the fudge which complemented the chocolate really well, with this bun having a much more generous amount of chocolate than Waitrose’s chocolate and orange bun. Again if you’re not a fan of hot cross buns, this is a great gateway into enjoying the treat whilst not having to eat any sultanas. 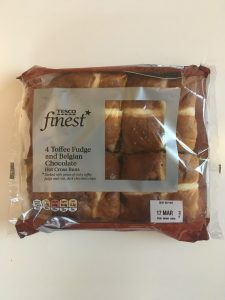 So there we have it, a compilation of some of the quirkier hot cross buns you can buy in the supermarkets in the run up to Easter. Whilst the traditional hot cross bun is an irreplaceable British staple, some of the jazzier flavour combinations could definitely give it a run for its money. 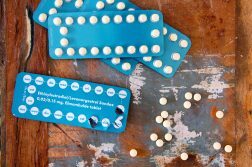 And don’t worry if you don’t feel like rushing out to buy them right now, they’ll probably be on sale for half the summer anyway.